The clip coincides with the launch of a new website where D'Souza answers critics who claim his movie distorts facts. His “evidence” page cites various historical sources and quotes notable figures, like Presidents Abraham Lincoln, Andrew Jackson, Woodrow Wilson and Lyndon B. Johnson, to make the case that Democrats had backed slavery and the Ku Klux Klan decades ago. Since D’Souza’s movie opened two weeks ago, detractors and several film reviewers have been challenging many of its claims. The Hollywood Reporter’s reviewer likened the movie to a “highly subjective history lesson” while the Los Angeles Times said it “doesn’t even qualify as effectively executed propaganda.” On Rotten Tomatoes, only 5 percent of critics gave Hillary's America a positive review, compared to a favorable review from 82 percent of the audience. Republican nominee for president Donald Trump, meanwhile, has endorsed the film. 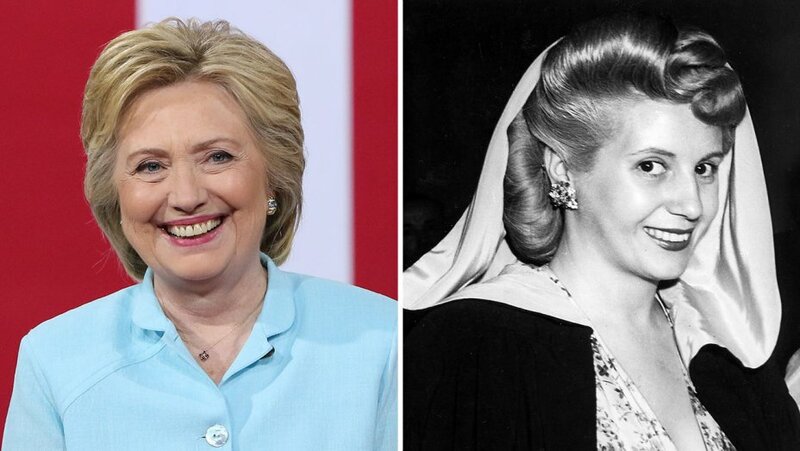 As for the clip (below), it consists of Lloyd Webber’s song from Evita, “And the Money Kept Rolling In," over news footage of Clinton and her husband, former President Bill Clinton, seemingly raising money for their charitable foundation. The clip, in fact, includes comments from Peter Schweizer, who stars in a competing documentary, Clinton Cash, which is based on his book that follows the money trail of the Clinton Foundation. Clinton Cash is screening at a theater near the Democratic National Convention in Philadelphia, and it has a limited opening Monday. Hillary Clinton is set to give her acceptance speech at the convention at about 10:30 p.m. ET Thursday. On Wednesday, Hillary’s America became the top-grossing documentary film of the year, collecting $5.2 million in less than two weeks. D’Souza’s previous two movies, 2016: Obama’s America and America: Imagine a World Without Her, made $33.4 million and $14.4 million, respectively.